Hi ! My Name is Muriel Aujean, also known as Mumuche24, and I live in France, near Orléans, in the country of the French castles! My husband and I have two children, Elouan and Yanis, which are the main source of inspiration for my projects scrapbooking. Scrap is for me a passion and a lifestyle. I can’t imagine my life without paper crafting, without keeping these small pleasures of everyday memory through my photos and scrapbooking! 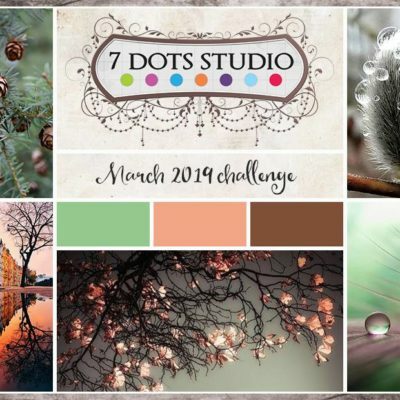 I love to scrapbook colorful, full of volume, using ink or watercolor and put all my energy. 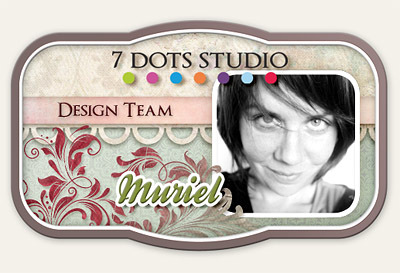 I’m so excited to be part of the DT for 7 Dots Studio, a very great adventure !